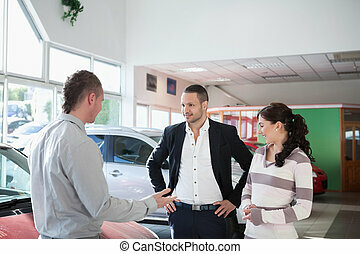 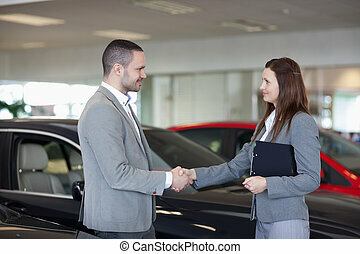 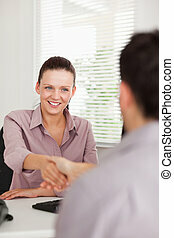 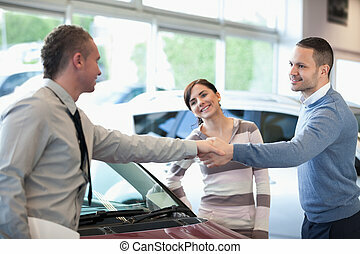 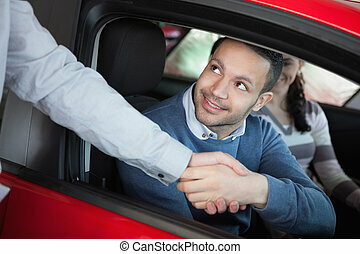 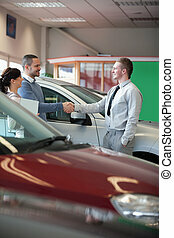 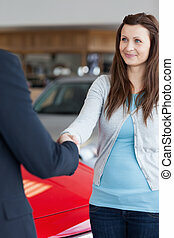 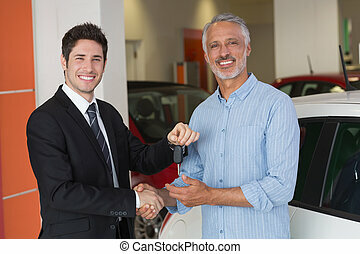 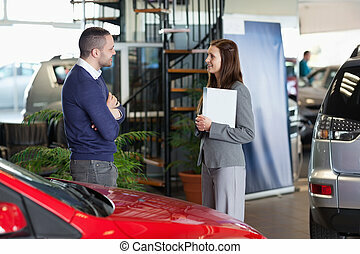 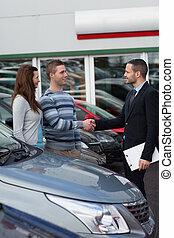 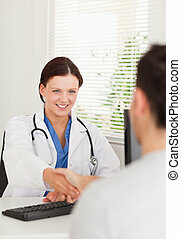 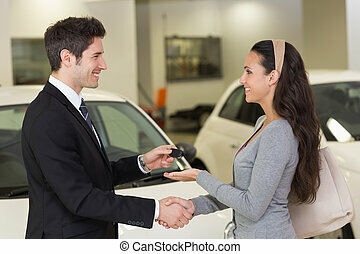 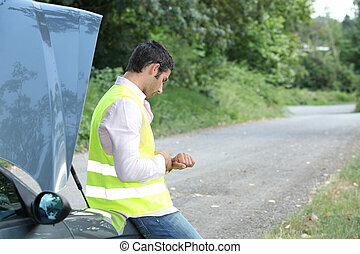 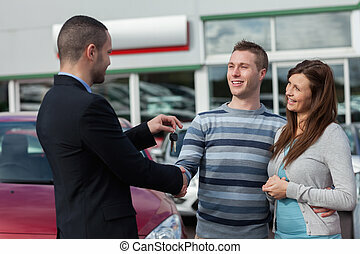 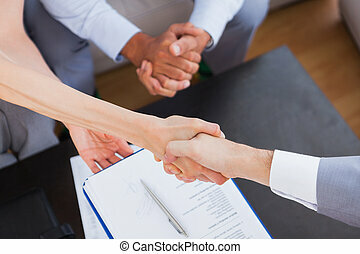 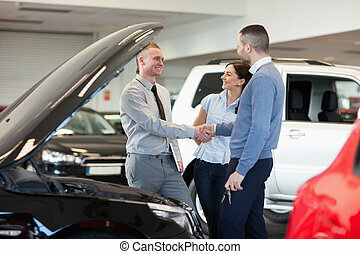 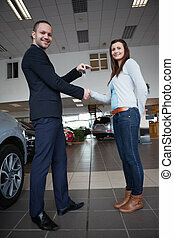 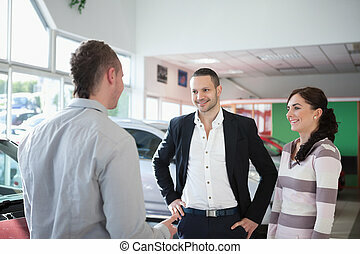 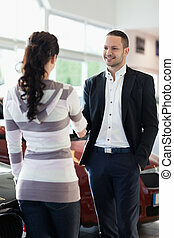 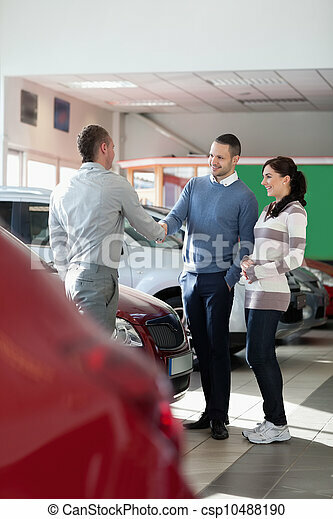 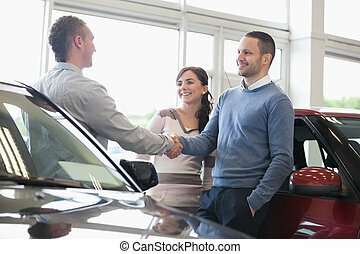 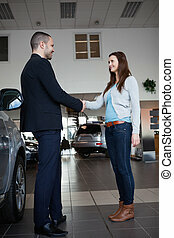 Car dealer shaking hand with a man in a car shop. 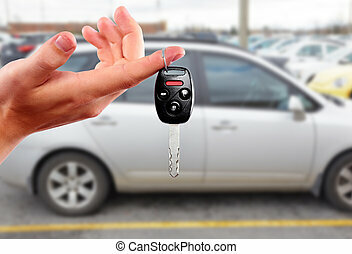 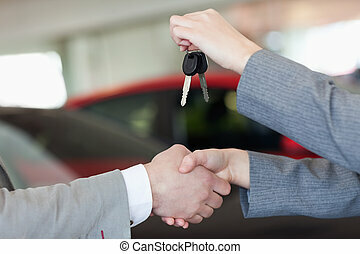 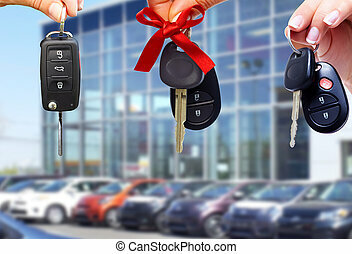 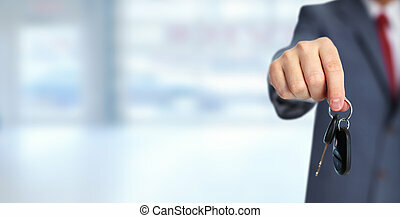 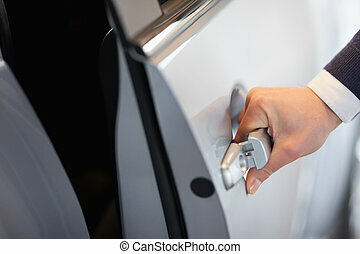 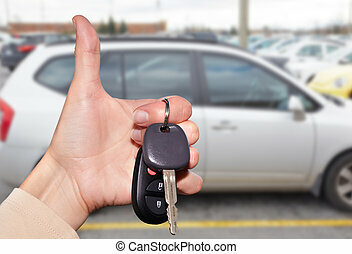 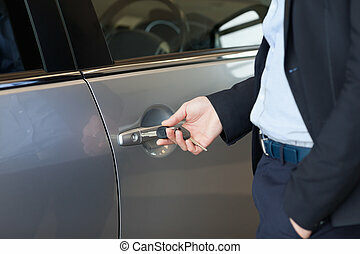 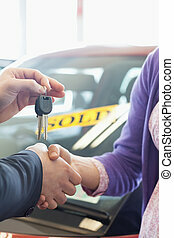 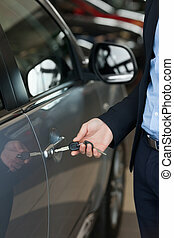 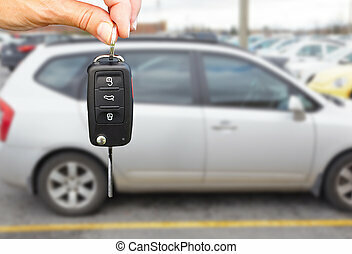 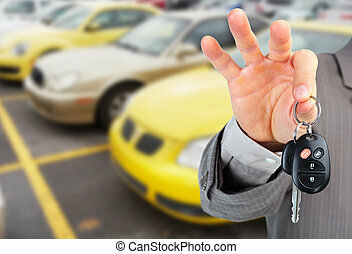 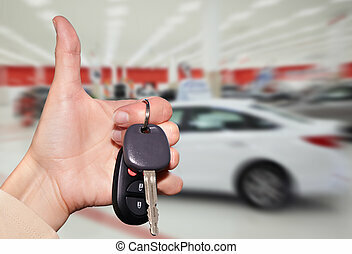 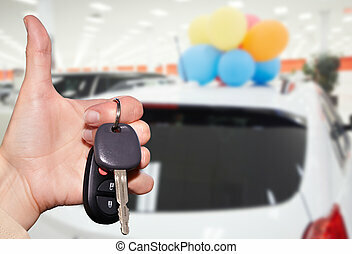 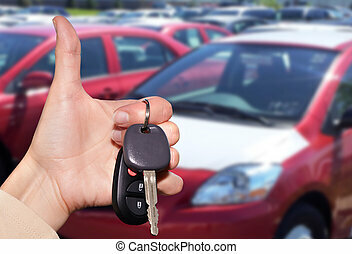 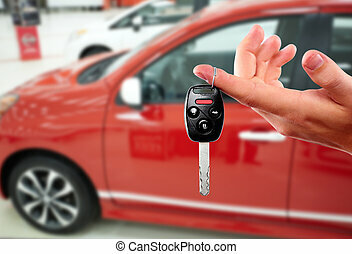 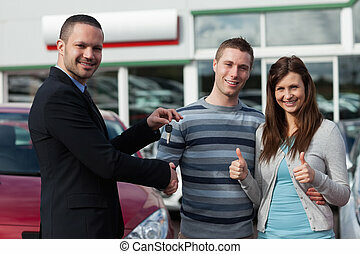 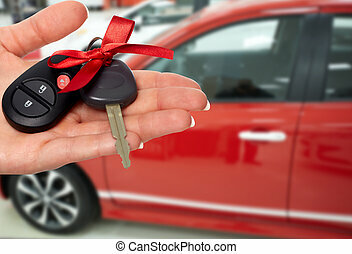 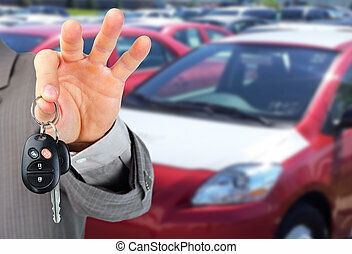 Car dealer hand with key. 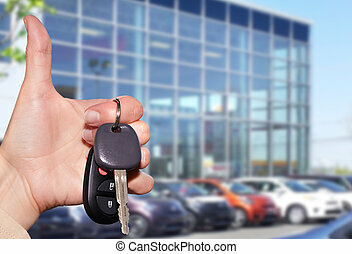 Auto dealership and rental concept background. 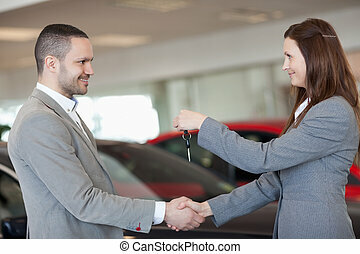 Car dealer with a key. 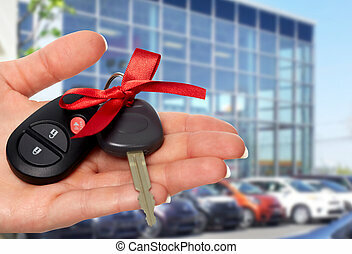 Auto dealership and rental concept background.